The event will be hosted by LIS with co-hosts: Livestock Services Saskatchewan and Ownership Identification Inc of BC. Kick-off starter on Sunday July 14th with the Calgary Stampede Rodeo finals and the evening Chuckwagon Races / Grandstand Show. 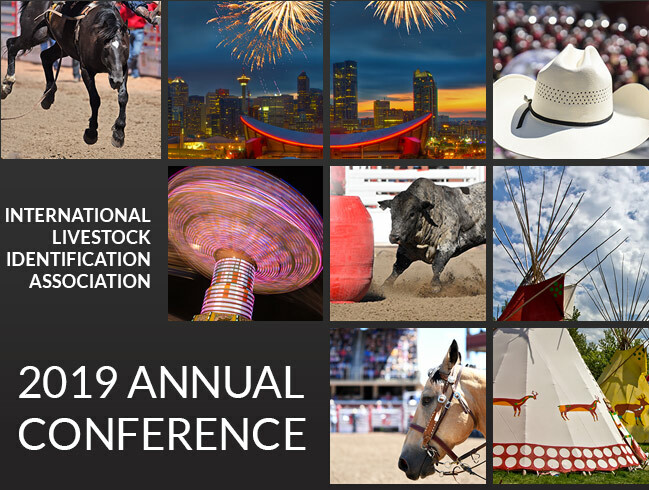 Meetings and conference will be Monday July 15th to Wednesday July 17th at Spruce Meadows. The BBQ and Charity Auction will be held Tuesday July 16th at the Kimmett Barn at Cochrane. 2018 - 72nd annual conference was hosted by the Oregon Dept of Agriculture - July 15th through to the 18th 2018.